Kidney is a truly underrated ingredient to cook with. Rarely seen outside of a steak and kidney pie (which we’re not knocking at all – they’re a true bastion of British cooking), this incredibly cheap offal cut can be sourced from cows, pigs and lamb, adding an incredible depth of flavour to whatever dish it’s used in. Henry Harris’ Veal kidneys with a Roquefort and walnut butter are to die for, putting the offal centre stage and allowing its flavour to shine. 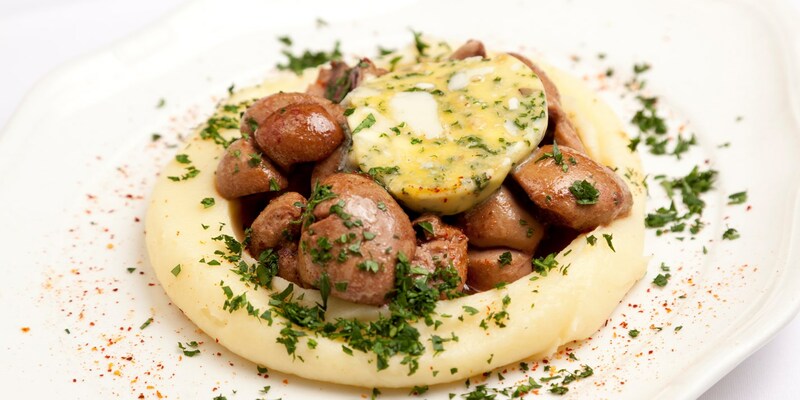 The same goes for Pascal Aussignac’s Hay-smoked pork kidneys with savora mash, an incredible dish that shows off an understanding of classical French cooking. Geoffrey Smeddle uses lamb kidneys in his Lamb kidneys with crushed broad beans, lemon and capers – a nice and easy recipe that’s bursting with flavour. Of course, if you’d prefer to stick to pies, then we’ve got plenty of those too. Shay Cooper’s Steak and kidney pudding is arguably the ultimate version of the dish, while Food Urchin’s Steak and kidney pie with smoked oysters adds a point of difference to a much-loved classic.